Goose House is a group of musicians who got their start performing on Youtube as part of the Play You House project sponsored by Sony in 2010. Changing their name to Goose House in 2011, they have made a name for themselves performing covers of a wide variety of songs in addition to releasing original songs. Oto No Naru Hou E is the first time they have composed a song for an anime, debuting as the ending of Silver Spoon Season 2 and releasing as a single on February 19, 2014. 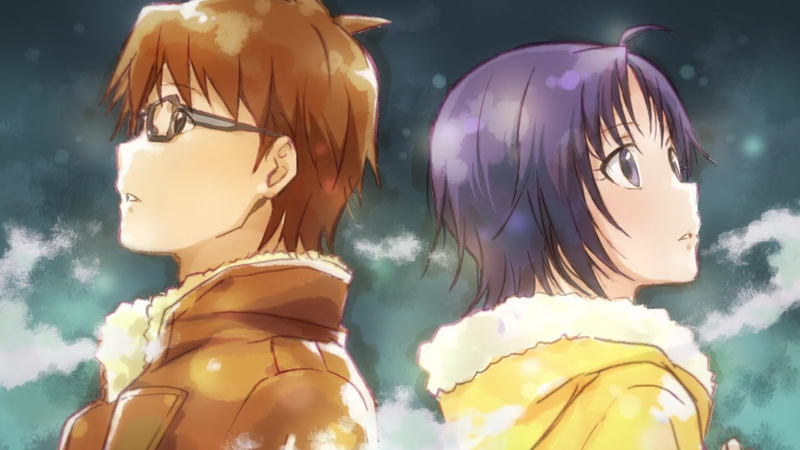 This is my favourite ending of all time with the song perfectly conveying the optimistic nature of Silver Spoon. The way that Goose House manages to blend their voices into a distinctive melody is fantastic, and it's amazing the way their voices are used throughout the song. This sound suits the show perfectly, remaining upbeat while remaining grounded. The drawings used throughout the song are fantastic, looking like something taken out of a storybook and add a nice aesthetic flair to the ending. I particularly love the joy that Goose House brings to their music and it shines through in spades with this song, see below for their full music video. Best moment: 0:38-0:45 for that Kei solo. Also the chorus is fantastic. Silver Spoon is a true masterpiece and one of the most overlooked shows in recent memory. For more thoughts, please read Richard Eisenbeis' review of the show here. For more on Goose House please visit their Youtube channel, and consider supporting them at retail or on (Japan) iTunes. You can also hear their latest release Hikaru Nara as the first OP of Your Lie in April.